Violet is a young woman from upstate NY. She recently obtained her undergraduate degree in engineering from Buffalo. She’s been volunteering at Maestro en Casa since September 1st. Laura and I have really enjoyed her energy and youthful spirit. She left this past Monday to move on to Nicaragua for a few months before returning to the States. 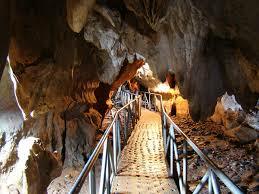 We wanted to treat her to a fun day so we invited her to come with us to visit the caverns at Taulabé on Sunday. Unfortunately she wasn’t feeling well that day and opted out. Laura and I decided we needed the day away and headed off for our adventure. The caves are about an hour and a half away on the main road heading north toward San Pedro Sula. 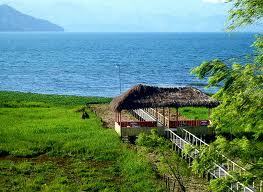 They are only a few miles south of Honduras’ one lake, Lake Yojoa, and literally about 100 yards from the main highway. Apparently, they were discovered in the 1970s when they were building the highway. 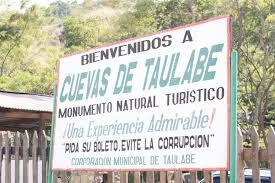 We got off the bus, walked across the highway and entered the empty parking lot of Las Cuevas de Taulabé. Sunday morning at 10:00 am at one of Honduras’ few tourist spots and the place was deserted save for the two tour guides and the ticket guy hanging out at the admissions shack. It turned out that the ticket guy also ran one of the stands out on the highway that sold homemade honey. 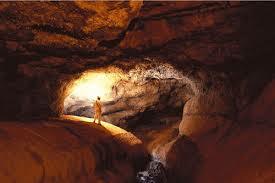 We had low expectations of what the caves would offer. As we were walking in our phone rang (we only have one), and Laura went off to the side to take the call, while I went up to the admissions stand. The older of the two guides gave me a rundown of the prices for the tour. The basic tour, 300 meters into the illuminated part of the cavern, cost thirty lempira ($1.50) for Hondurans and $4.00 for foreigners. As residents we could get the Honduran rate. But the guide was pushing the ‘extreme’ tour. 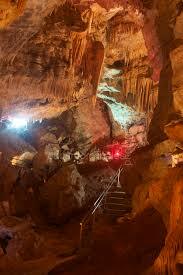 The extreme tour brought you 300 meters further into the cavern. It was not illuminated and you needed to carry flashlights and wear a hardhat. For the regular tour, the guide was optional, but for the extreme tour he was required. This tour cost an additional 150 lempira ($7.50), and the guide’s tip was not included. By this point Laura had returned from her phone call. I explained to her our options, very suspect of the extreme tour. But Laura was apparently up for an adventure and we opted for the extreme tour. That word ‘extreme,’ particularly in Spanish, seemed to carry a foreboding air. Outside the entrance, some 40 feet from the admission booth, the guide asked us if we had a camera to take pictures. As almost always is the case, we didn’t. The guide explained that people usually like to take a before and after picture because we will probably be extremely dirty upon our exit. We laughed, believing him to have made a joke, but he hardly smiled, and we both realized he hadn’t been joking. 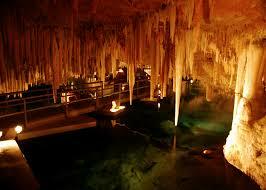 The caves were gorgeous with huge stalagmites and stalactites, and unusual formations pointed out by our guide. We, the lone tourists, wound our way along a well laid concrete trail with railed stairways. It was breathtaking and we realized our low expectations were premature and unwarranted. Then we came to the end of the 300 meters and saw the posted sign “End of Tour.” I read the sign and had a flashback to seminary days and reading Dante’s Divine Comedy, “Abandon all hope ye who enter here.” It was the beginning of the ‘extreme’ part. Our guide led us beyond the concrete walkway to a muddied path that rose at about a sixty degree angle to a rock ledge ten feet above us. Our guide stopped us there and gave us very serious, ominous instructions on how to hold our flashlights and the importance of sticking together. “If you feel as if the rock you’re using as a foothold seems loose, find another one.” For this we were paying an additional $7.50 plus tip! Pride and our American sense of ‘getting what we paid for’ pushed us to continue on. It had taken us all of fifteen minutes to amble our way through the first 300 meters. For the next hour and a half we scaled muddied walls and slid down the other side, inched our way along crevices over fifteen meter drops, and ducked bats. In one chamber, our guide had us turn off our flashlights. The blackness was invasive. We were going in a downward direction for most of the journey. This meant less oxygen and more heat. We also discovered we were not alone. Probably twelve, young, Red Cross volunteers were also on the extreme tour running emergency simulations. It didn’t seem at all fair that they had ropes. We nervously joked with them that maybe they’d have opportunity for a real emergency situation with us. But, we made it, unbruised and covered completely in mud. I gave our guide a healthy tip knowing that we would probably be the only idiots that day to take the extreme tour. We said goodbye to Violet that evening, laughing with her over our experience. 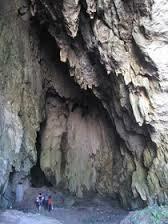 Our muscles have been remembering and complaining about our jaunt through las cuevas all week. It’s also been a week of goodbyes for us. We’ll be heading off to Concepcion this coming Monday to start our new job with Shoulder to Shoulder. The kids at Maestro en Casa are finishing up their school year. We’ll make sure to come back for graduation sometime in late November or early December. We’re looking forward to Concepcion and Shoulder to Shoulder. I’m sure that whatever we encounter, it will be yet another extreme experience.